The writing we call 1 John is written by the Apostle John to deal with a specific situation occurring in the churches he oversaw in Asia Minor. False teachers had caused his flock to doubt that they possessed eternal life (1 John 5:13). 1. 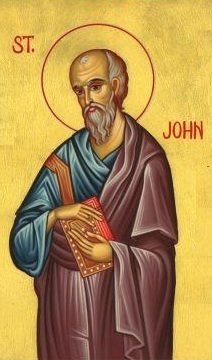 The false teachers (or prophets) were part of the Johannine Community. They have left the church, or perhaps were forced out. They likely were in leadership positions based on their influence and the fact that they are teachers (1 John 2:18-19; 2 John 1:7-11; 4:1). 2. They relied on Scripture to make their arguments and thought of themselves as having the correct interpretation and path to “getting saved” (Polycarp Letter to Philippians chapter 7; Irenaeus Ad Haer 3.11.7). 3. They denied that Jesus was the Christ who had come in the flesh. They held that Jesus was just a man who was spiritually indwelt with the Christ. The Christ was a guide who taught through Jesus and left him at the cross. Therefore Jesus did not die to deal with sin (1 John 2:22-23; 4:2-3; 2 John 1:7; Ignatius Letter to Smyrna chapter 2, 5, 6; Trallians chapter 10; Polycarp Letter to Philippians chapter 7; Irenaeus Ad Haer 3.11.3). 4. They had a low view of sin. They taught that you could live however you wanted without affecting your salvation as long as you had the correct knowledge and were pursuing spiritual enlightenment since the body was worthless and evil. The false teachers did not require a Savior to deal with sins since they claimed they had no sin (1 John 1:6,8-10; 3:3,8-10; Irenaues Ad Haer 1.13.6). 5. John did not view these false teachers as “carnal” or “back-slidden” people who possessed eternal life. He saw them as unsaved people who were deceivers, antichrists, devils, and friends of the world (1 John 2:26; 2:18-19; 3:7-10; 4:5; 2 John 1:7) who claimed to have fellowship with the Father and Son but did not and thus do not possess eternal life (1 John 1:6; 5:10-12; 2 John 1:9). If Irenaeus’ testimony is correct these false teachers are related to the Nicolaitans who deeds Jesus hated (Irenaeus Ad Haer 1.26.3; 3.11.1; Rev 2:6,14-15). These observations are based on 1 John, 2 John, Revelation, and extant writings from Ignatius, Polycarp, and Irenaeus. This entry was posted in Theology and tagged 1 John, Essentials, Gospel, Irenaeus by MikeB (@AnAgileJedi). Bookmark the permalink.